Before we get on to what might happen in 2018, take a quick look back at my 2017 predictions, written this time a year ago. As ever, I’ve ended up with plenty of egg on my face. No, Francois Fillon did not become the president of France, and Theresa May did call an early general election in the UK, although she must wish she had not. Angela Merkel is looking considerably weaker, and Jeremy Corbyn considerably more comfortable, than I imagined 12 months ago. And there never was a breakthrough in the Cyprus peace talks. But, as ever, my justification for this annual column is that I’m merely trying to point you, dear reader, towards some of the issues and events likely to shape our tumultuous world in the coming year. And – the usual caveat – my 10 predictions below do not necessarily reflect my own political or personal preferences. 1) I spend most of my time reporting on Britain these days, so there is no escaping Brexit. I believe that May will survive as prime minister through 2018, if only because her Conservative Party cannot find someone else to rally around and is united in its fear of an election defeat to Corbyn’s Labour. Somehow, Britain and the European Union managed to get through the first round of Brexit negotiations in 2017, concerning Britain’s terms of departure. In 2018, Britain and the European Union will be talking about their “future relationship”. Of course, that task would be easier if May gave us a clearer idea of what that relationship should look like. But the prime minister has decided, not unwisely, that constructive ambiguity towards Brexit is keeping her party together. 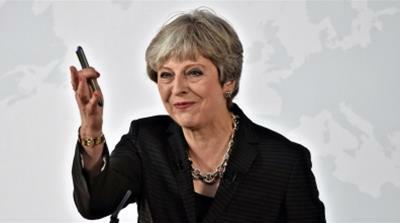 At some point, surely, she will have to spell out to the British people who are going to be the winners and losers of Brexit, and which (‘iconic’ blue passports aside) of the promises made during the referendum campaign will actually be realised. 2) Perhaps the most predictable election of the year will take place in Russia. Vladimir Putin’s re-election is a formality, meaning that by 2024, when his next (and theoretically final) term comes to an end, he would have been the dominant force in Russian politics, as either president or prime minister, for almost a quarter of a century. The main opposition leader, Alexei Navalny, has been banned from standing because of corruption charges that he says are politically motivated – so perhaps the most interesting aspect of the election will be turnout. A high level of abstention would signal apathy and disenchantment, but Putin remains popular and has a formidable propaganda machine on his side. 3) The powder keg that is the Middle East looks, if possible, even more dangerous than usual. 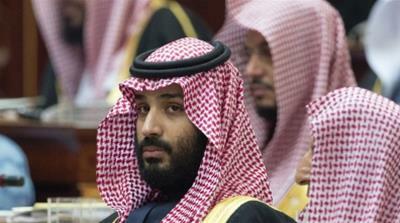 Will Saudi-Iranian tensions escalate into a major regional war? I believe not, but it will be ordinary people in Yemen, Syria and Lebanon who will pay a terrible price for their rivalry. What will be the impact of US President Donald Trump’s recognition of Jerusalem as Israel’s capital? Contrary to what the US president might think, it has made the prospect of a lasting settlement between Israel and the Palestinians even harder to conceive of. Expect much despair and frustration in Gaza and the occupied West Bankand statements of solidarity across the Islamic world, but little actual change for Palestinians. 4) The United States midterm elections in 2018 will be a crucial test of Trump’s authority. This most divisive of American presidents has struggled to impose any sort of legislative agenda, and has feuded with the leaders of his own Republican Party in Congress. Democrats were heartened by their triumph in the Alabama senatorial election in late 2017, but the Republican candidate there, Roy Moore, was uniquely flawed. Nonetheless, expect the Democrats to make gains in both the House and the Senate, and to take control of at least one of them, even as they struggle to produce a convincing candidate to take on Trump in the 2020 presidential elections. 5) Trump will also be grappling with a number of foreign policy crises, including the increasing belligerence of a nuclear-armed North Korea. I do not mean to keep you up at night, but the potential for this standoff to spin horribly out of control is very real. My prediction – perhaps because I cannot bear to contemplate the alternative – is a continuation of the uneasy status quo; more North Korean tests, more Trump Twitter abuse of “Rocket Man”, a tightening of sanctions. 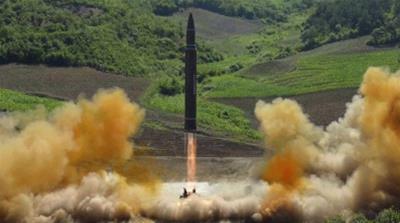 Gradually, even if official policy will not admit as much, the US will learn to live with the frightening reality of a potential nuclear attack from North Korea, relying on its own vastly superior forces as a deterrent. That may not be reassuring and is hardly ideal, but it is a form of the same cold logic that has ensured no nuclear weapons have been used since 1945. 6) The fall of Robert Mugabe was one of the most dramatic, and for the majority of Zimbabweans, happy events of 2017. But what now for a people who have suffered so much these past 20 years? Have Zimbabweans merely swapped one aging despot for another? Emmerson Mnangagwa will surely prove a more capable manager of Zimbabwe’s economy than Mugabe, but there are plenty of reasons to fear he’ll be just as ruthless and undemocratic. His first cabinet selection gives little reason for cheer. The big test will be the 2018 elections. Can the opposition unite behind a single candidate? Will ZANU-PF fight fair? The cynic in me suspects the answer to both those questions will be “no”, but Zimbabweans can at least count on international goodwill as they strive to rebuild their beautiful country. 7) Events in Zimbabwe, and in the Gambia earlier in the year, were no doubt followed closely by Africa’s other long-term leaders with dubious democratic credentials. Yes, Paul Biya of Cameroon, where there are also elections in 2018; Teodoro Nguema of Equatorial Guinea; and Yoweri Museveni of Uganda, I’m thinking of you. All three will be prepared to use force to maintain their grip on power. Another African country to watch in the coming year will be Angola. When Joao Lourenco was elected president in August 2017, the widespread assumption was that he would be a puppet of his long-serving predecessor, Jose Eduardo dos Santos. 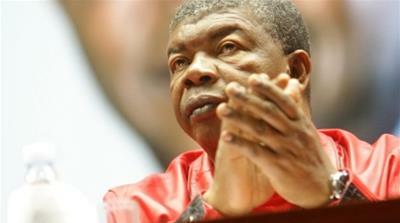 But the purging of the old guard in late 2017 suggested Lourenco is his own man, determined to steer Angola in a new direction. 8) One of 2018’s most interesting experiments will be the ban in France on smartphones in primary schools, due to begin in September. Children will complain, but President Emmanuel Macron will insist he is acting in their best interests. I predict that in the coming years, other countries will follow France’s example, as more alarming evidence emerges about the effect on children’s brains and powers of concentration of too much screen-time … (yes, I am an anxious parent). 9) The Football World Cup will be held in Russia. Sorry, Russia, but you will not become the first host to win since 1998. Instead, despite the absence of Italy and the potential of Brazil and Argentina, the tournament will be dominated by the other traditional powers of Western Europe: Germany, France and Spain. 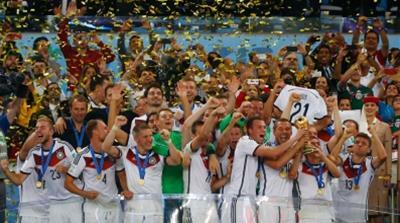 The holders, Germany, will prove strong enough to keep their trophy. Surprise package? Not much-hyped Iceland, but Nigeria, who will thrill their supporters in emerging alongside Argentina from Group D.
10) You may groan at the prospect, but be prepared for an awful lot of media coverage of a certain wedding in May. Yes, I’m talking Meghan and Harry. A mixed-race, divorced American hooks up with the younger son who has spoken openly of his struggles with grief and anxiety. Is it possible to be indifferent towards the British royal family while also believing that this particular relationship is a good thing? I confess, dear reader, that is where I find myself. Next article Sustainable Leadership is Being Destroyed.